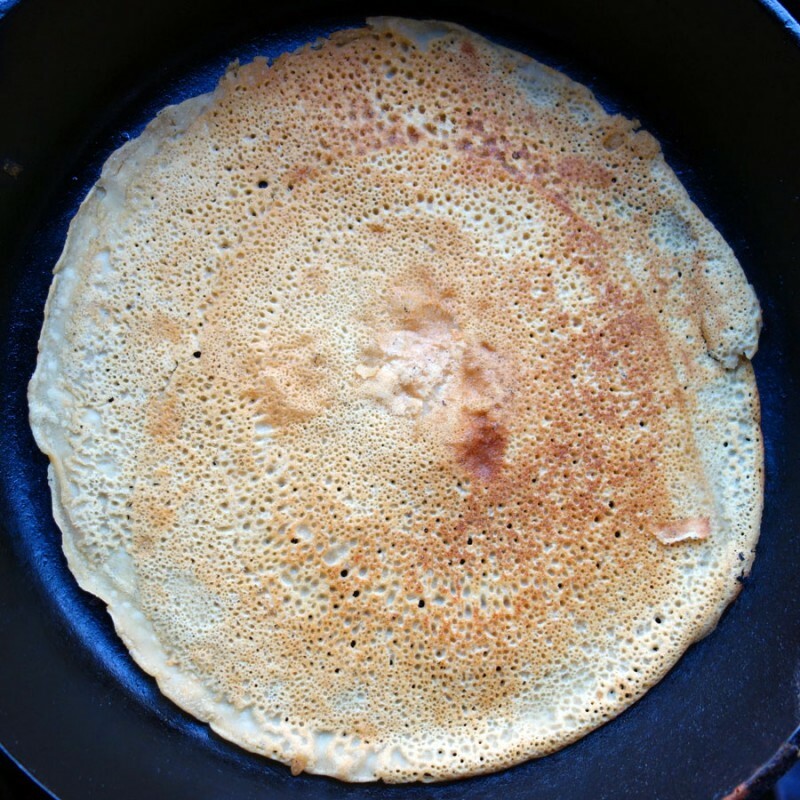 A recipe for a simple savory crêpe made from chickpea flour, water, olive oil, salt and pepper. You can serve it with any kind of dip, tartare, salsa, curry, salad, etc or just nibble it on it’s own. Whisk all the ingredients together in a 1-quart bowl or measuring cup with a spout until it’s completely smooth. Cover with plastic wrap and allow to sit for four hours or overnight in the fridge. You can make a flatbread from this recipe by using 2 cups of chickpea flour and 2 cups of water with the olive oil, salt and pepper. Allow it to rest for four hours or overnight. Preheat oven to 400F. Pour 1/4 cup of olive oil in a small sheet pan or 9” x 13” x 2” baking pan. Pour batter in the pan tilting to spread it. The olive oil will float to the top of batter. Bake for 30 minutes until golden. Drizzle with olive oil and eat. You can dust it with parmesan or pecorino cheese and flash it under the broiler for a minutes to brown it.